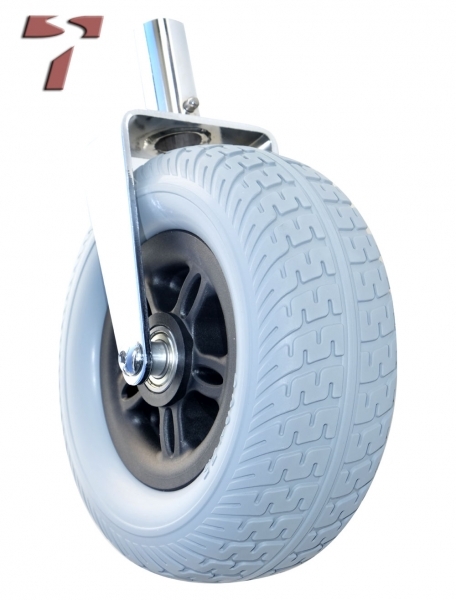 Product information "Wider front wheel and fork"
Provides improved handling on tougher terrain such as grass, snow or rutted surfaces. Easy to install. Fits older (belt-driven) TravelScoots as well. Related links to "Wider front wheel and fork"